The letters "ti" are pronounced as "s" in the Kiribati language. Kiribati has a total land area of 800 square kilometers scattered over a vast area of ocean about 3.5 million square kilometers; equivalent in size to the continental United States! The population of Nauru is the second least populous country in the world after the Holy See. It is also the smallest Island country in the world. However, in the years after independence in 1968, Nauru possessed the highest GDP per capita in the world due to its rich phosphate deposits. Two Nobel Prize winners come from the 617 km2Saint Lucia, a sovereign island country in the eastern Caribbean Sea, making them the country with the highest number of Nobel Prize winners per capita. Each country on earth tells its own unique, sometimes hidden story. Can artists help introduce unfamiliar places through their medium? If, through the practice and approach of contemporary art, a group of artists produces a variety of artworks from paintings, sculptures, installations, videos, mixed media to interactive art, would that excite people and inspire them to learn more about an unfamiliar country? 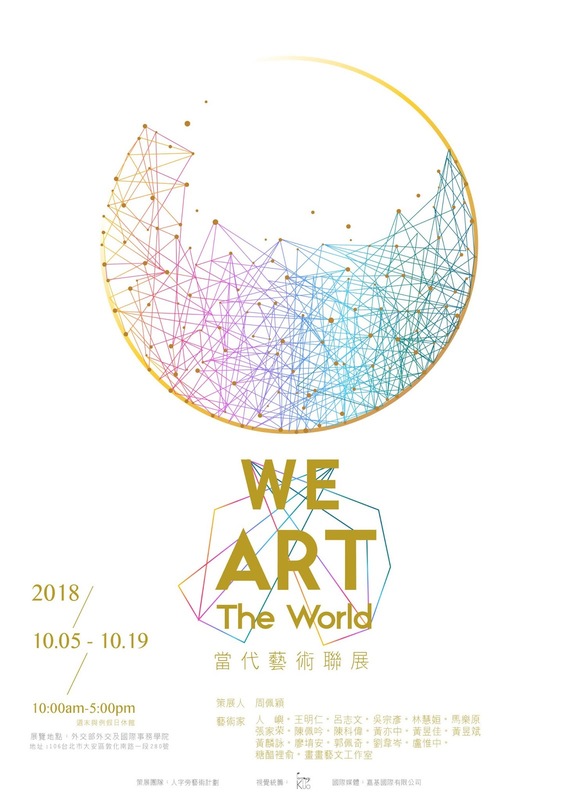 "We ART The World", a contemporary art project seeks to answer these questions. 20 emerging artists took the challenge and joined the collaboration. The rule is simple, one artist for one country. Each artist is to create one new piece of artwork based on his or her research of the specifically assigned country. Anything can trigger creativity. Through observing the country's geographic location, environmental ecology, culture or lifestyle, and by incorporating their personal interpretations and creative style, unique artwork unfolds. "We learn something new everyday. It's interesting and intriguing to see how artists use these elements and turn them into diverse artworks," says curator, Patrice Chou. Among the eye-catching artworks, viewers are able to find fascinating facts on different countries. For instance, the Great Blue Hole is a giant marine sinkhole off the coast of Belize. The number of local languages listed for Solomon Islands is 74, of which 70 are living languages and 4 are extinct. One of Tuvalu's largest sources of income is from the lease of its highly marketable internet domain of '.tv'. Vodou is recognized as an official religion in Haiti. The full moon in Palau is traditionally considered the best time for fishing, planting, and other activities. The flag of Paraguay differs on its obverse and reverse sides. The center of the white stripe on the front of the flag bears a national coat of arms. The reverse side is decorated with an emblem of the Ministry of Finance. Countries on the exhibition list include Kiribati, Nauru, Solomon Islands, Republic of the Marshall Islands, Republic of Palau, Tuvalu, Eswatini, Holy See, Belize, Haiti, Nicaragua, the Republic of Guatemala, the Republic of Honduras, the Republic of Paraguay, Saint Kitts and Nevis, Saint Vincent and the Grenadines, and Saint Lucia. "We ART the world" sets an ambitious goal: to include all counties worldwide in this project. They welcome all ideas and cooperation. "That art transits all the boundaries is what we believe in the group exhibition, and we look forward to having you to be part of it," Chou adds. "It's lovely to see the world differently and beautifully through art."